for RealAudio version of an excerpt from Kyema, 2:55 / 171K. for TrueSpeech version of an excerpt from Kyema, 182K. 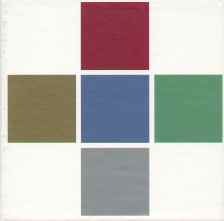 for MPEG-2 version of an excerpt from Kyema, 683K. 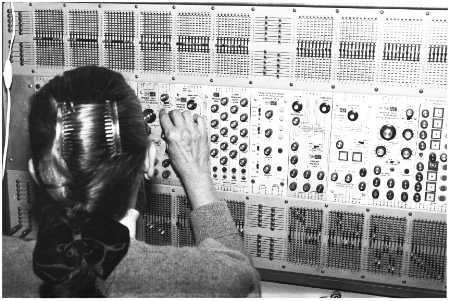 Eliane Radigue was born in Paris. 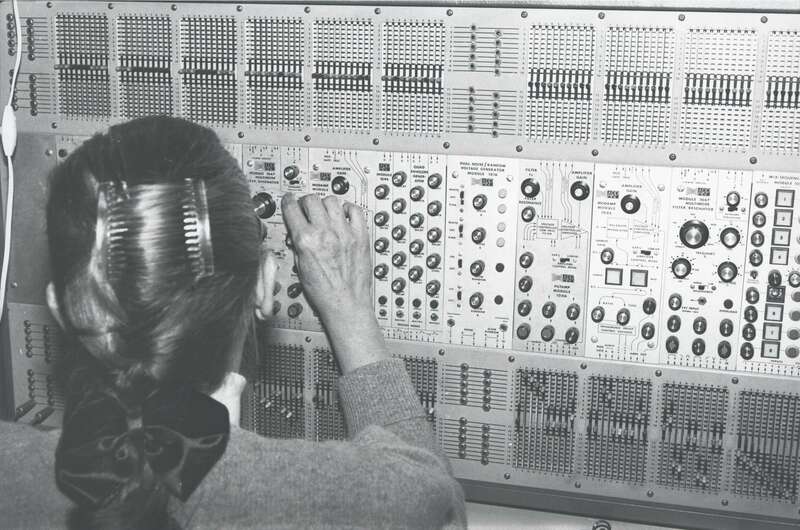 She studied electroacoustic music techniques at RTF under Pierre Shaeffer and Pierre Henry, later becoming Henry's assistant at the Studio Apsome. She has had residendes at the New York University School of the Arts, at the University of Iowa, and at the California Institute of the Arts. 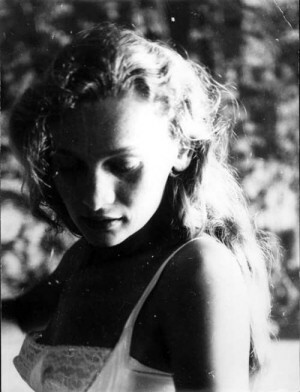 In 1975, Radigue became a disciple of Tibetan Buddhism. After four years of study, she began a large-scale cycle of works based on the life of the 11th century Tibetan master Milarepa. Three recordings of this work, "Songs of Milarepa," "Jetsun Mila," and "Mila's Joumey Inspired By A Dream," have been released by Lovely Music. 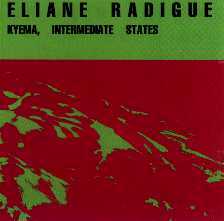 Radigue's music has been performed throughout Europe and the United States. She currently lives in France, where she continues to compose electronic music and to study the teachings of the Tibetan lamas. 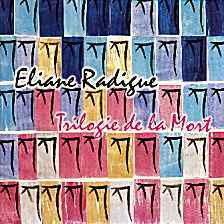 Eliane Radigue works with electronic sounds on tape to create an ambience within which sound seems to move in a continual flow around the listener. Her music has been described as "infinitely discreet ... next to which all other music seems to be tugging at one's sleeve for attention." Recent performances have been at galleries and museums such as the Salon des Artistes Decorateurs (Paris), Foundation Maeght (St. Paul de Vence), Albany Museum of the Arts (New York), Gallery Rive Droite (Paris), Gallery Sonnabend (New York), Gallery Yvon Lambert (Paris), and Gallery Shandar (Paris); at festivals including the Festival de Como (Italy), Paris Autumn Festival, Festival Estival(Paris), International Festival of Music (Bourges, France); and at the New York Cultural Center, Experimental Intermedia Foundation(New York), The Kitchen (New York), Columbia University (New York), Vanguard Theatre (Los Angeles), LACE (Los Angeles), Mills College (Oakland), University of Iowa, Bennington School of Music, the San Francisco Art Institute, and the NEMO Festival (Chicago 1996). She has been on many broadcast programs including France Culture, France Musique, distribution via satellite covering over 50 stations in the U.S. including special programs on KPFK(Los Angeles) and KPFA (San Francisco). Ces trois dernières pieèces constituent la "Trilogie de la Mort". Songs of Milarepa, Lovely Music VR2001. Mila's Journey inspired by a dream, Lovely Music LCD2002. Jetsun Mila, Lovely Music LM2003.